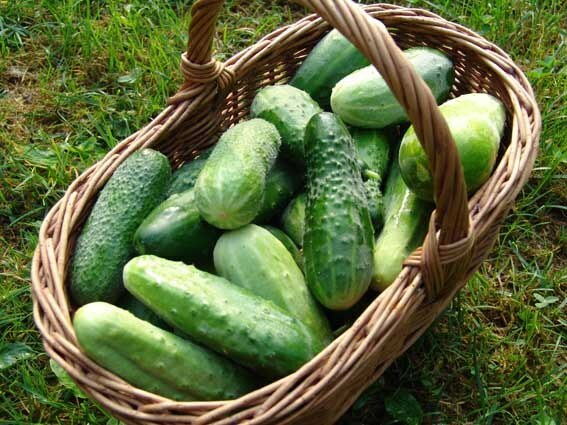 To obtain a large harvest of cucumbers, they are best grown in the greenhouse. And you will be able to try the first fruits in April-may. But it's not enough to just sow seeds into the soil, you need to pasynkovat cucumbers in the greenhouse. Then they will not grow impassable jungle and all its power will I give to the numerous maturation of the ovaries. In the greenhouse cucumbers grown on a trellis in a single stem. Thus they take more space, not along the ground as in the open ground. But this is not important, but what if you grow varieties with male and female flowers, timely remove side shoots will quickly appear lateral shoots with female flowers. And it will accelerate the appearance of the first cucumbers. After you have planted cucumber seedlings in a greenhouse, care for them until on plants the fourth leaf. Then presidnete about it all the flower buds and side shoots. Next you need to tie up cucumbers in the greenhouse to the trellis. To do this, pull the top wire and tie it to pieces of twine that will hold the whip. After the appearance of the 5, 6, 7 sheet pasynkovat cucumbers in the greenhouse should be different. On lateral shoots leave 1 ovary and 1 sheet, after which presidnete escape. Don't forget to wrap the growing scourge around the twine attached to the trellis. When you see 8, 9 and 10 the sheet again presidnete side shoots in the axils, but now leave in 2 cucumbers and 2 of the sheet. And finally, after 11 sheet remove all of the ovary, in addition to 3 cucumbers and 3 leaves on each shoot. The whip reaches usually of wire, stretched along the greenhouse. Secure it by tying around it a couple of times, let grow the main run of about half a meter, and when a new ovaries, leave them and tear off the top growth. Periodically check all the whip on the presence of new side shoots if they appear, immediately break off. To leave them is not worth it, even if it is for their flowers and ovaries. All this will create additional load on the main stem, and will create shading in the greenhouse.